Cyclists from across Africa will join Kenyan riders at the second annual road race in Kiambu County on September 8-9. The event, held at Tatu City, is expected to attract large crowds of spectators as more than 250 cyclists will tackle the 106km course. Teams from all over Kenya, including Safari Simbaz, VeloNos, Kenyan Riders, Nakuru cyclists and Team ARABIKA from Mombasa, have already registered. They will compete against international teams from Uganda, Eritrea and Sierra Leone. Last year’s event at Tatu City raised the bar for road cycling events in Kenya, and the cycling community is anticipating another demanding and exciting race. 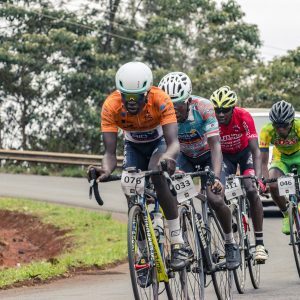 The inaugural event held in 2017 saw more than 140 cyclists compete, with Kenyan Riders star Suleiman Kang’ang’I emerging as the overall winner. The 2018 race will be held in partnership with Hashim “Zuzu” Sharif, a well-known Kenyan cycling enthusiast and organiser of cycling events. Several sponsors including Sossi, Sama Ice, Coca-Cola, Yatta Juice by KWAL, Farmers Choice and Utalii Kwa Baiskeli will be sponsoring this year’s event.